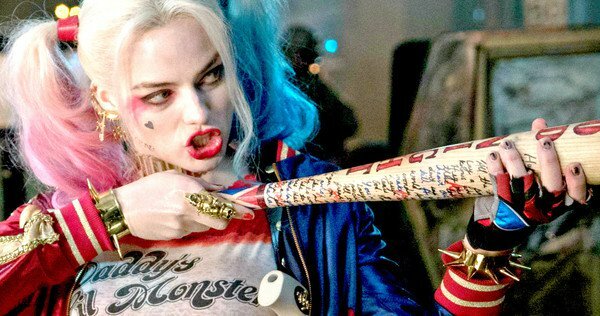 Margot Robbie has been very chatty when it comes to the direction of Harley Quinn, more so than any other member of the Suicide Squad cast. You don't see Joel Kinnaman out there talking about all those Rick Flag spinoffs Warner Bros. should be working on, do you? No, it's clear that Robbie has been granted a ton of control over the character's future, probably for two reasons. First, is that Harley is arguably the most popular DCEU character other than Wonder Woman. Two, Robbie has grown to become quite a powerful producer, as well. Robbie is out there doing press for her new movie, the film noir Terminal, and of course the Collider interviewer really just wants to ask her about Harley Quinn. Robbie talked about the upcoming all-girl spinoff, Birds of Prey, and says she pitched it to Warner Bros. as an R-rated gang movie. Last we heard, Gotham City Sirens had Suicide Squad director David Ayer attached, so it would be really weird if Robbie wasn't in it. I can't believe any of these projects are going to happen without her. And if they do then Warner Bros. is cutting their own throat once again. Why can't they just keep it simple? The people like Robbie in the role, so focus on that and do away with all of the clutter.